Which management plugin is the better alternative for my blog? With more and more competing premium WordPress plugins it gets harder and harder to answer that question. This article takes a look at two popular plugins to manage multiple WordPress sites: It compares InfiniteWP with iThemes Sync in order to help you with your decision in choosing one. There are several other alternatives to InfiniteWP and iThemes Sync on the market which I have compared in separate articles. Go to my main WordPress Management Software comparison to start your search. Please note that this comparison only looks at the features on paper as reported by either plugin’s developers. It does not and can not tell you if or how well a certain feature will work for you. 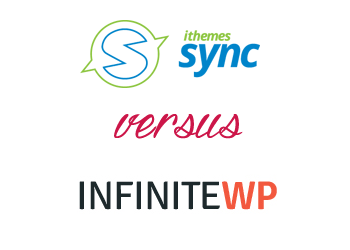 Because such a verdict would depend on too many variables, including your server setup and personal preference, I have decided to stick to the hard facts for this feature comparison between InfiniteWP and iThemes Sync. In my comparison I track 35 different features for all the WordPress management plugins. In InfiniteWP you can find 27 out of 35 of those features. 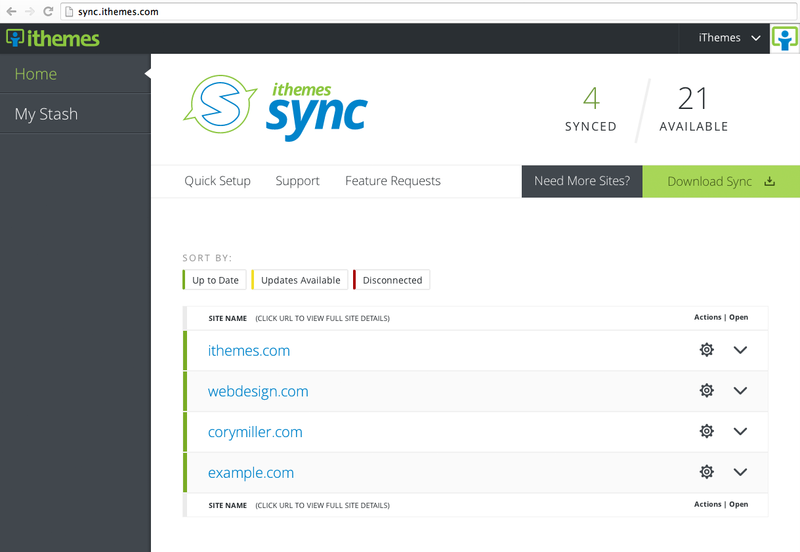 iThemes Sync on the other hand offers 16 out of the 35 features in total. Even if many of the features compared above overlap between those competing products there is one very important difference: InfiniteWP as well as iThemes Sync both provide a unique interface and dashboard from which you will manage all your WordPress blogs (pictured below). Since it is hard to rate the quality of such an interface objectively I recommend that you try both products yourself by signing up for the free trial offered by either service. WPscoop indexes the exact prixing plans of all compared plugins. Please refer to the table below for a quick overview of the prices of InfiniteWP and iThemes Sync. To find the cheaper management plugin for your individual needs please go to my main comparison article. There you can search for the features you need and then see the exact price you would need to pay for InfiniteWP or iThemes Sync (as well as other alternatives). Most WordPress plugins have an option to test their service for free, either thrhough a basic free version, a trial period or online demo. Check if such an offer exists for InfiniteWP and iThemes Sync and if so: Make use of it! By doing so you can compare both plugins directly and find out which one is the better alternative in you situation. But wait, there is more! 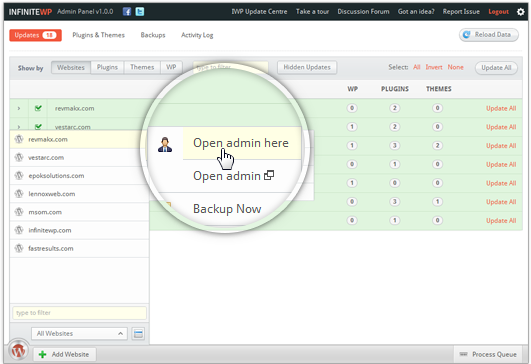 Besides InfiniteWP and iThemes Sync I have compared several other WordPress management plugins on WPscoop. I recommend you start your search for InfiniteWP alternatives or iThemes Sync alternatives in the main comparison article. There you can filter all different products and search for the features you need. Which one is the better blog management service: InfiniteWP or iThemes Sync? Please share your opinion or experience in the comments!